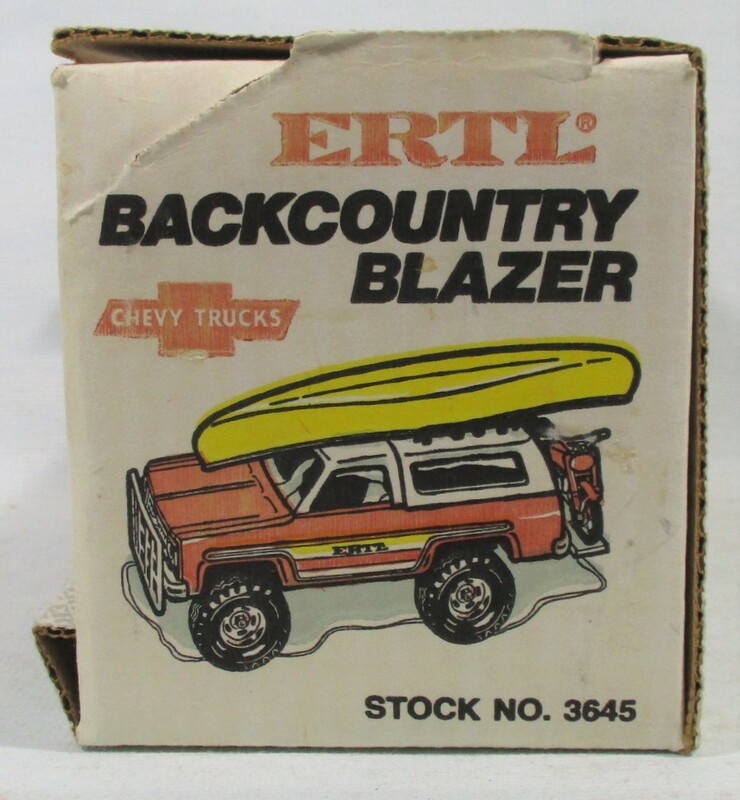 This page will include Steel trucks of Chevrolet, Ford, GMC, Mack, White, International and more. 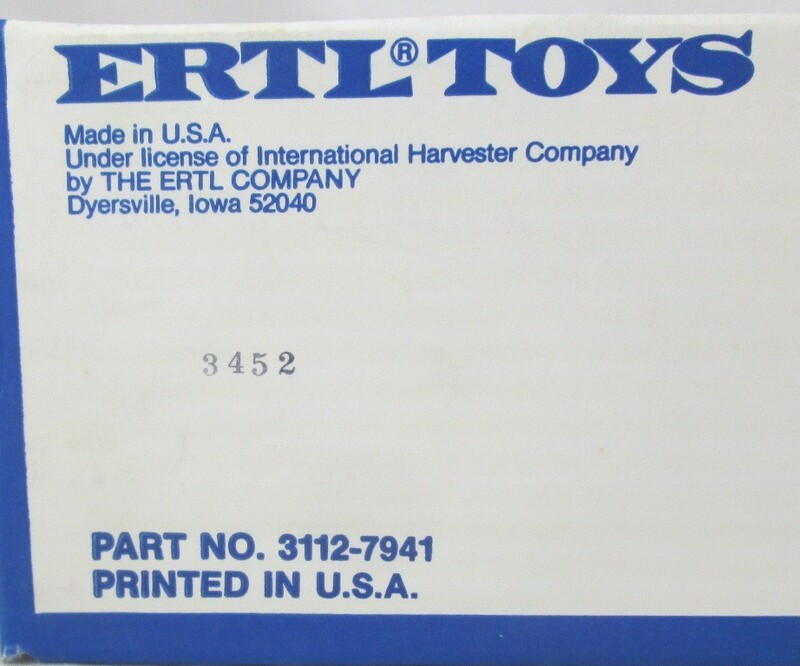 They were made by Ertl Collectibles, Nylint, Structo, Buddy L, Mealcraft, Lincoln Toys and Tonka. 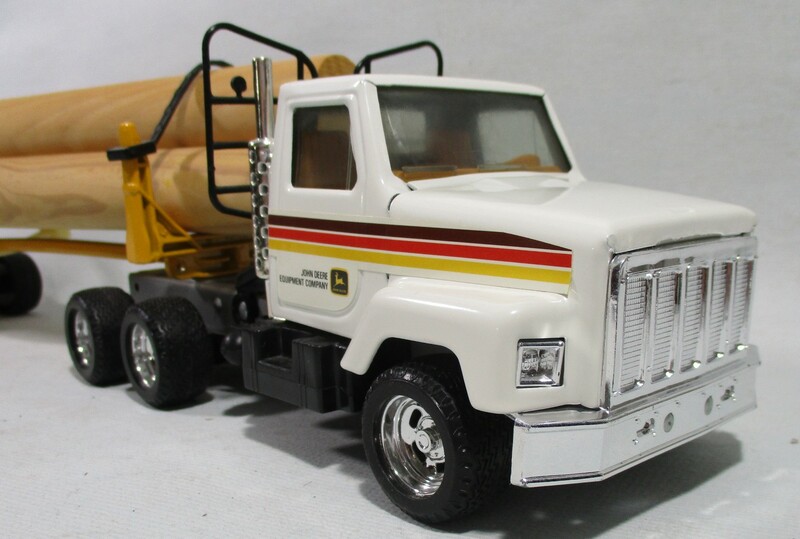 This will include Vintage trucks as well. 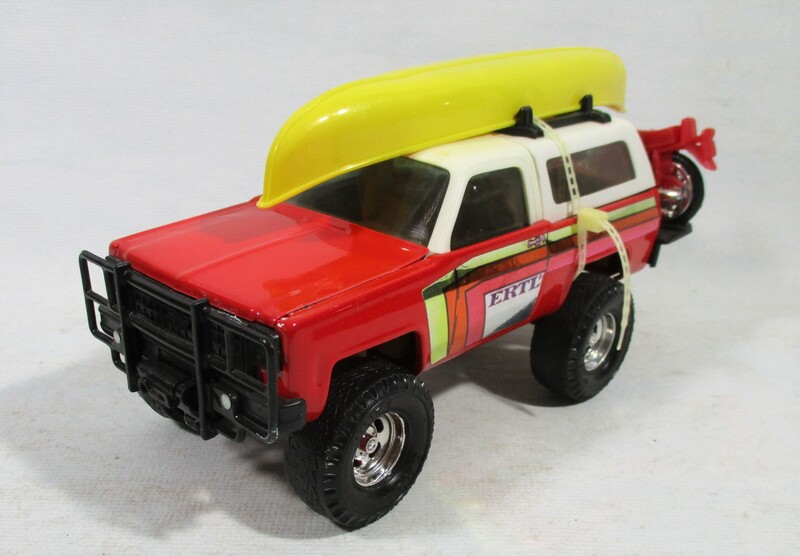 Ertl Stk# 3832 Dodge Delivery Van for MF. Pressed Steel 11 in long. 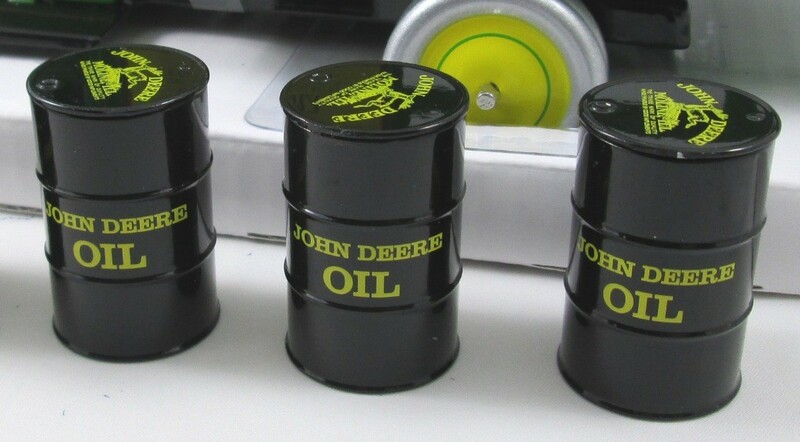 Made in USA in the 1980's. 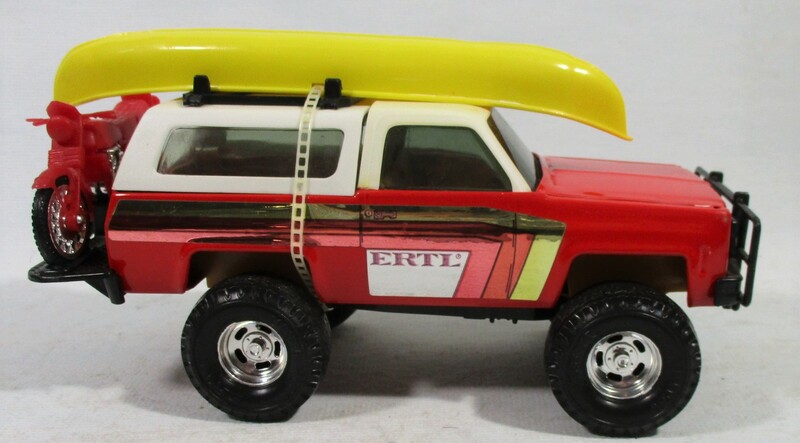 Ertl Stk# 3645 Chevrolet Blazer with Boat and Motorcycle. Pressed Steel 8-1/2 in long. 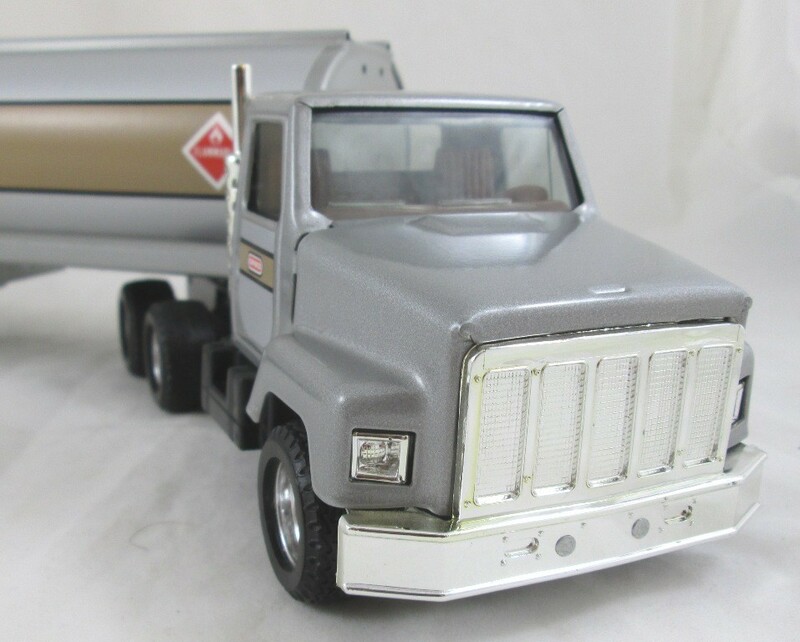 Ertl Stk# 9947 The Heartbeat of America, Today's Chevrolet Chevy Titan Cab-Over Semi Tractor Trailer. 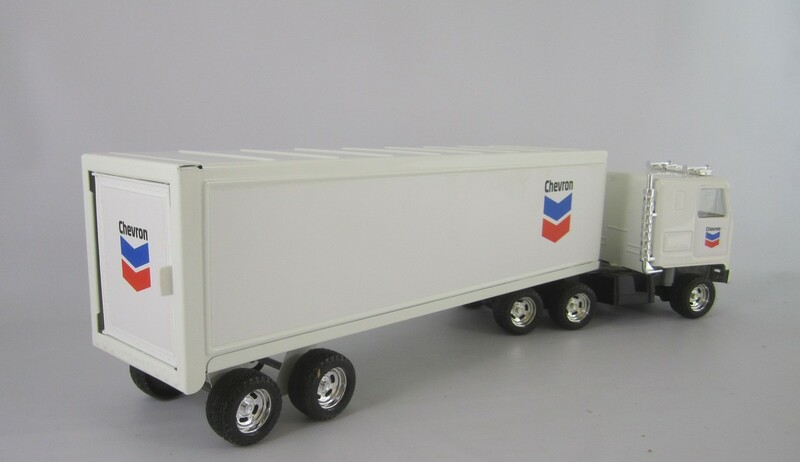 Steel Cab and Die-cast trailer in 1/25 scale (19 in long). Ramp drops to load cars and the Trailer separates from Cab. 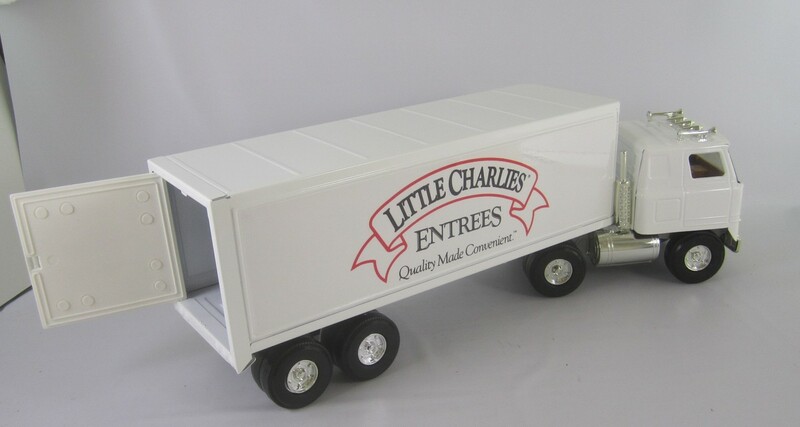 Great for displaying Promo cars or Model car kits. Made in USA in the 1994. 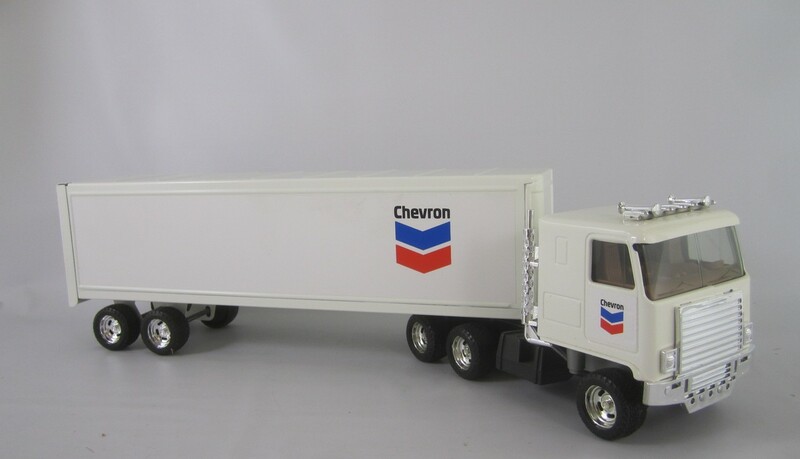 Ertl Stk# 3112 Chevron Delivery Semi Truck. 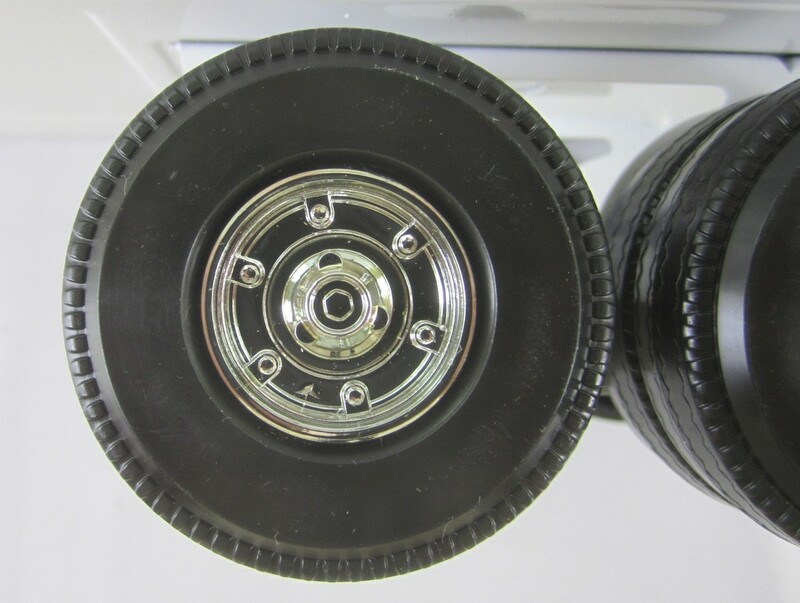 Made of Pressed Steel in the USA in 1991, the only plastic is the trim and wheels. Opening rear door. 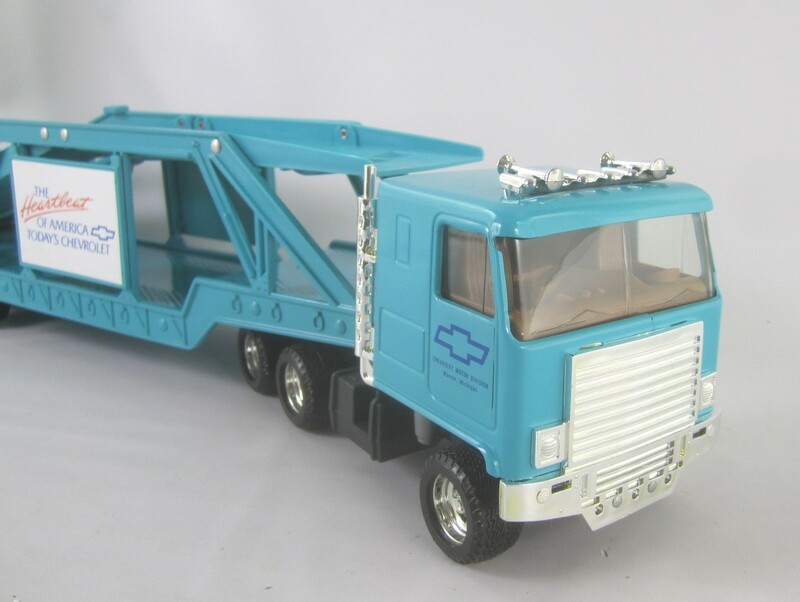 This is a Chevy Titan Cab Over truck. 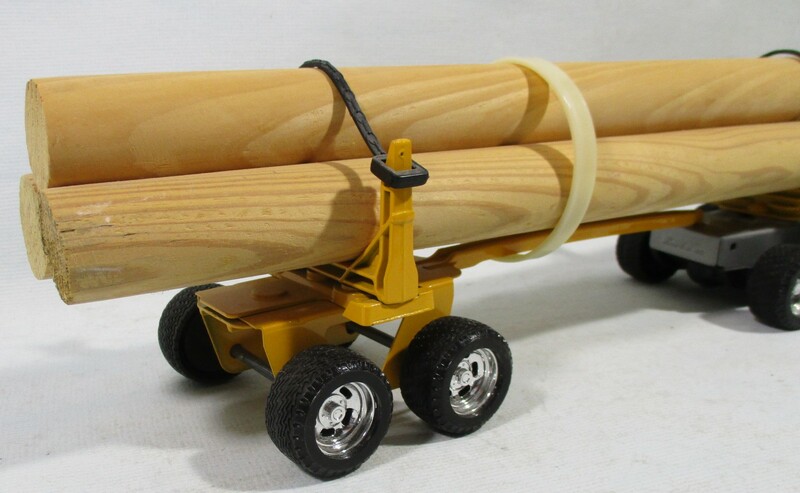 Measures 19 inches long, referred to as 1/25 scale. 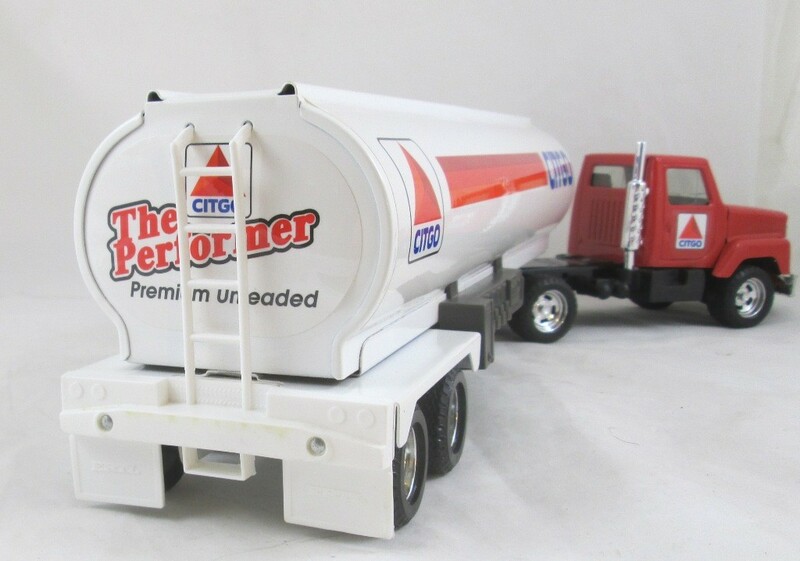 Ertl Stk# 3179 Citgo Tanker Semi Truck. 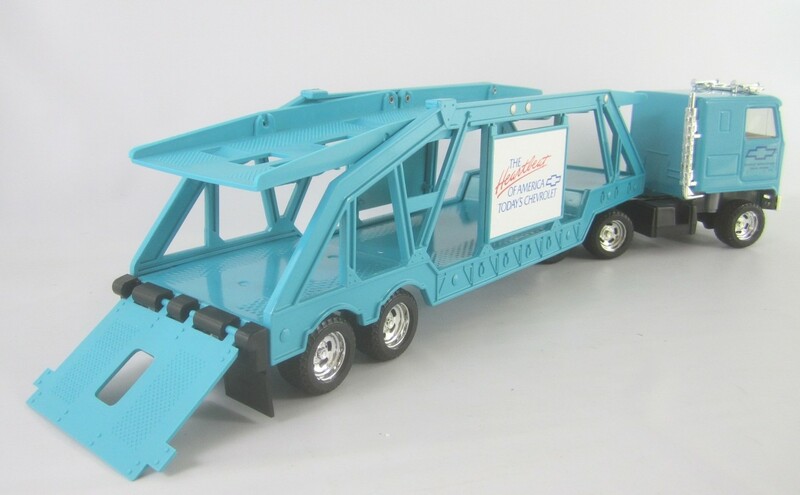 Made of Pressed Steel in the USA in 1990, the only plastic is the trim and wheels. 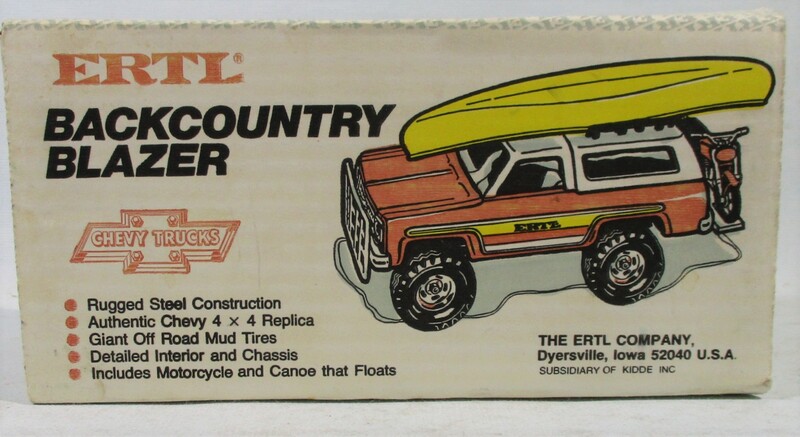 This is an International truck. 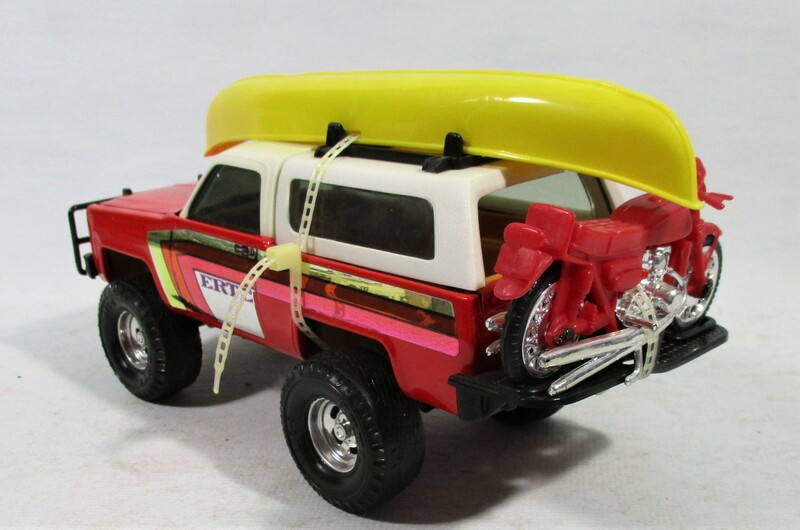 Measures 19 1/2 inches long, referred to as 1/25 scale. New in Excellent Box, Opened only for Photos. 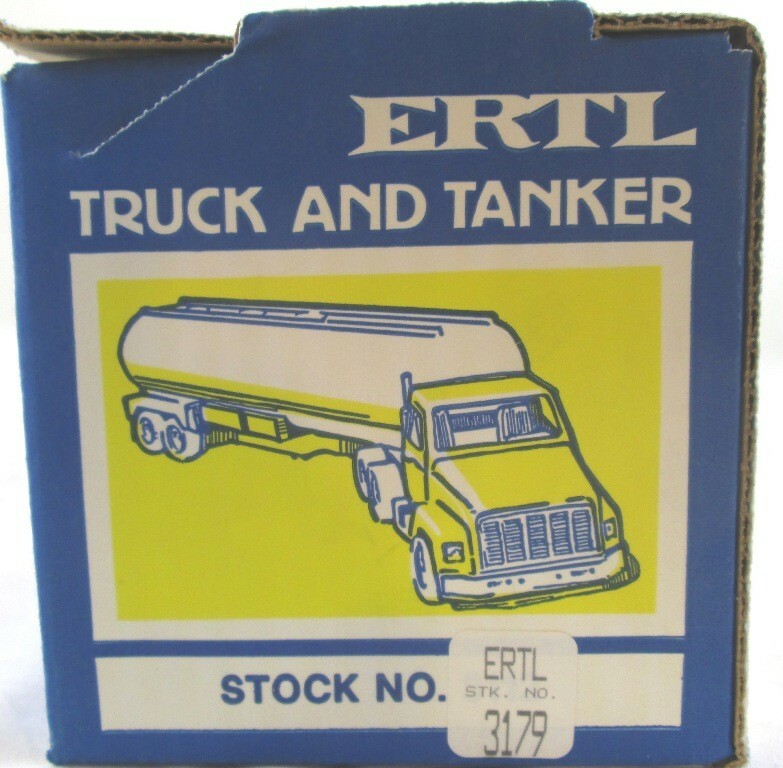 Ertl Stk# 3163 Conoco Tanker Semi Truck. 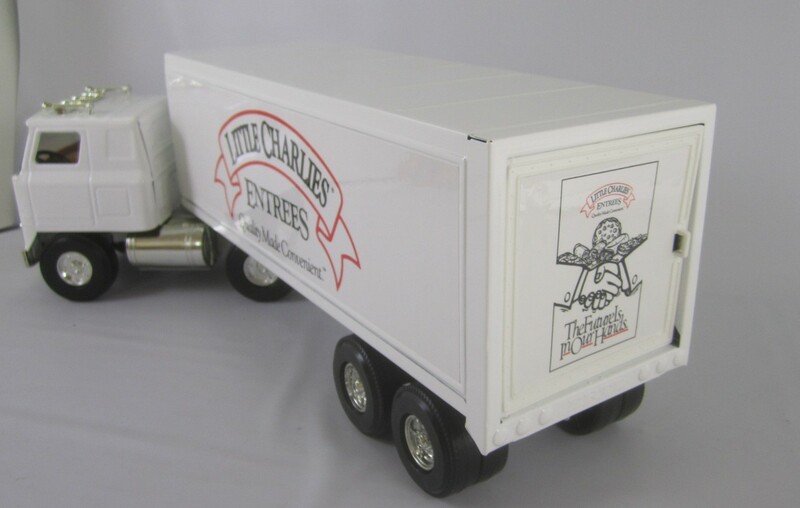 Made of Pressed Steel in the USA in 1990, the only plastic is the trim and wheels. This is an International truck. 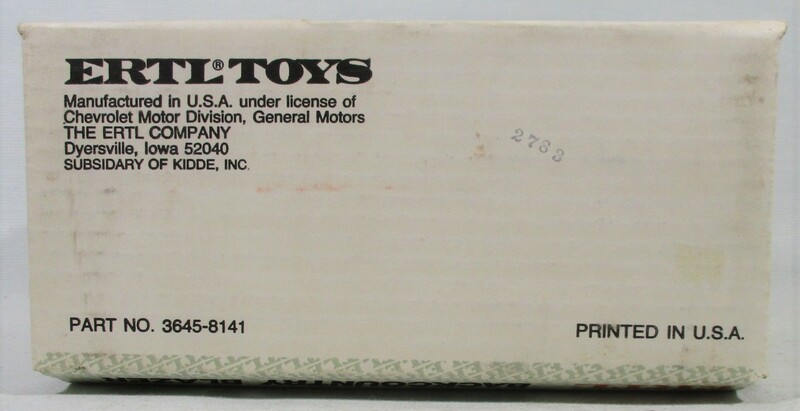 Measures 19 1/2 inches long, referred to as 1/25 scale. 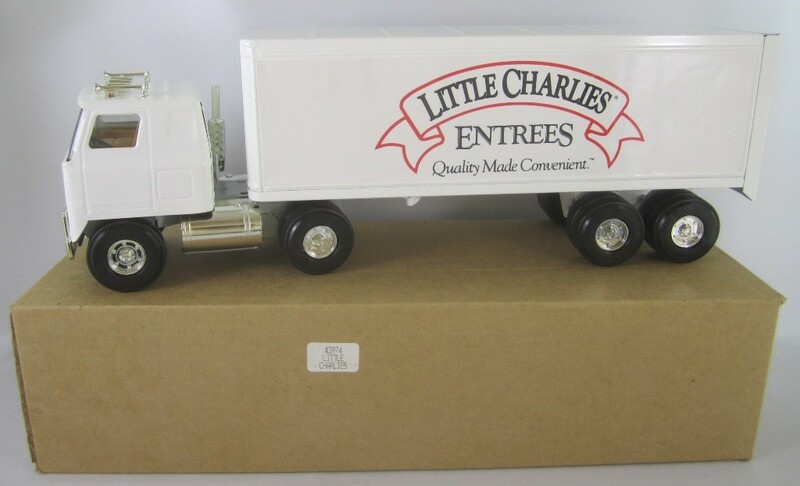 Ertl Stk# 3974 Little Charlies Delivery Semi Truck. 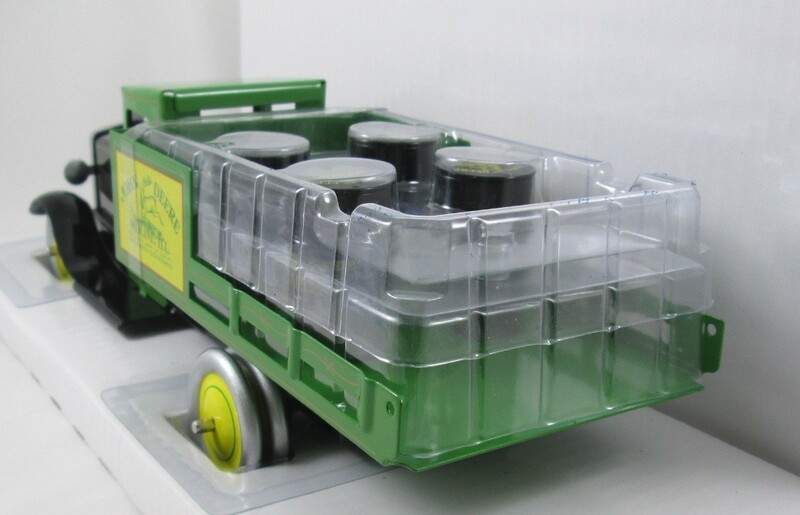 Made of Pressed Steel in the USA in 1992, the only plastic is the trim and wheels. Opening rear door. 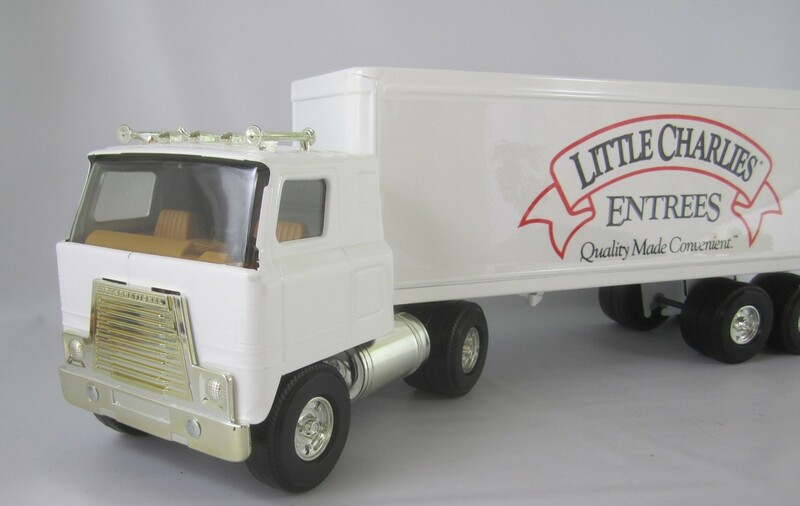 This is an International Transtar Cab Over truck. 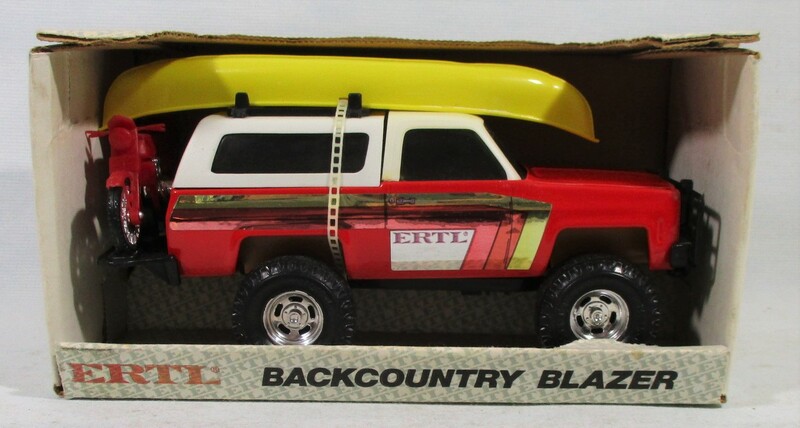 Measures over 21 inches long, referred to as 1/16 scale. New in Box, Opened only for Photos. 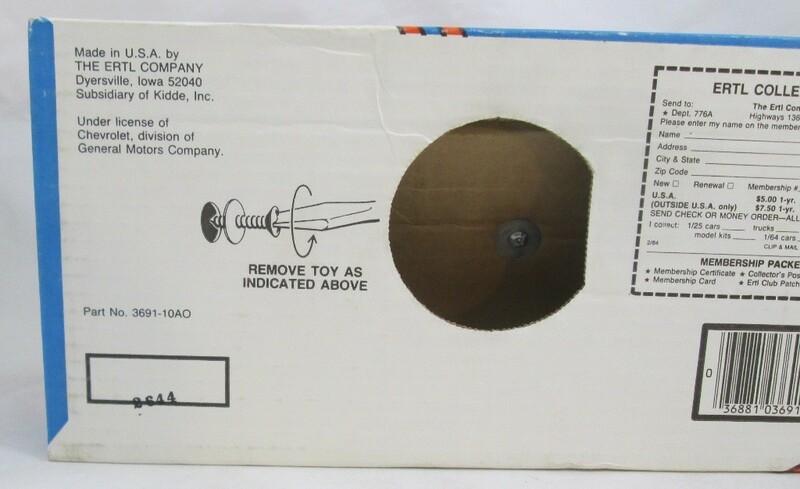 Mail order promotion type box. 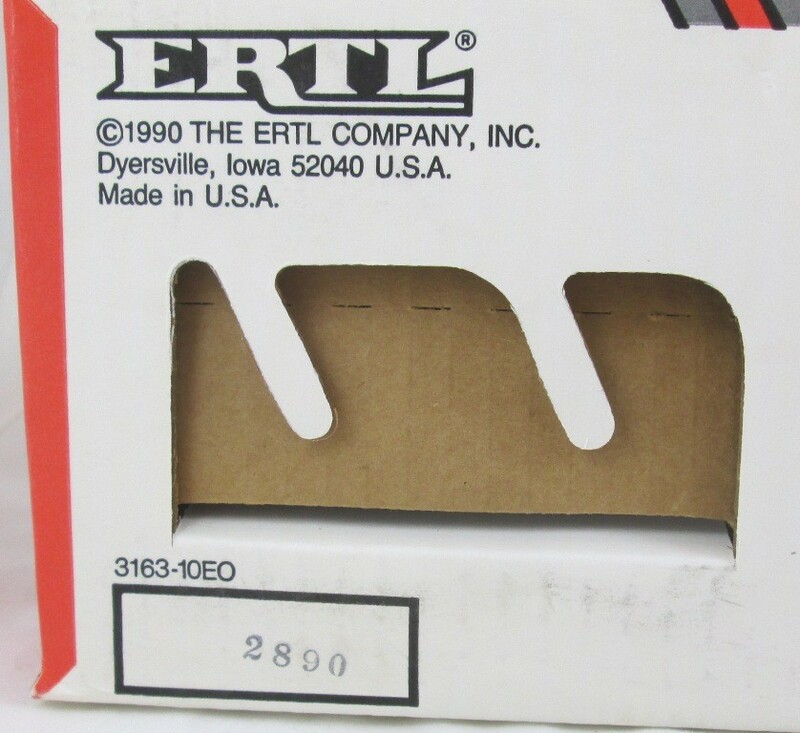 Ertl Stk# 5532 JD Log Hauler Semi Truck. 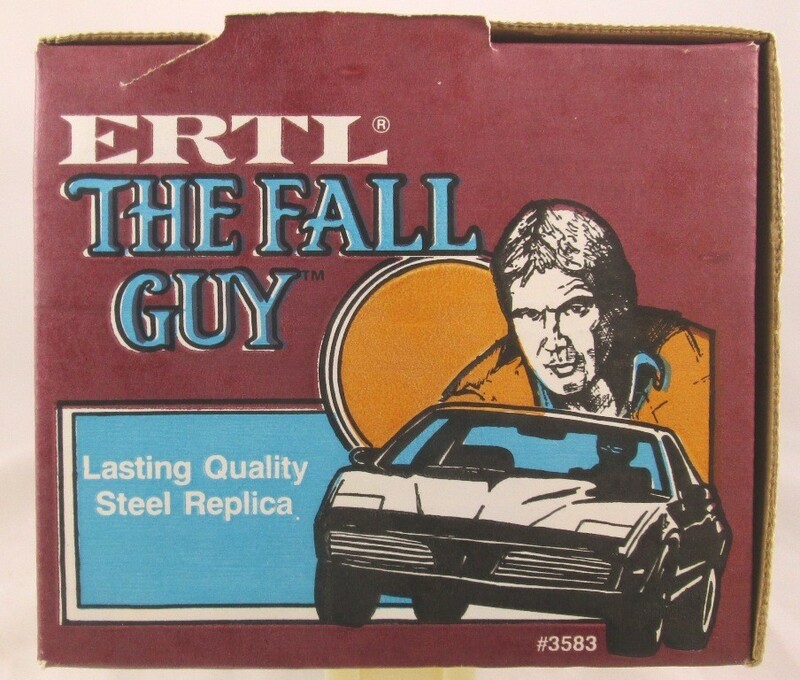 Made of Pressed Steel in the USA in 1990's. 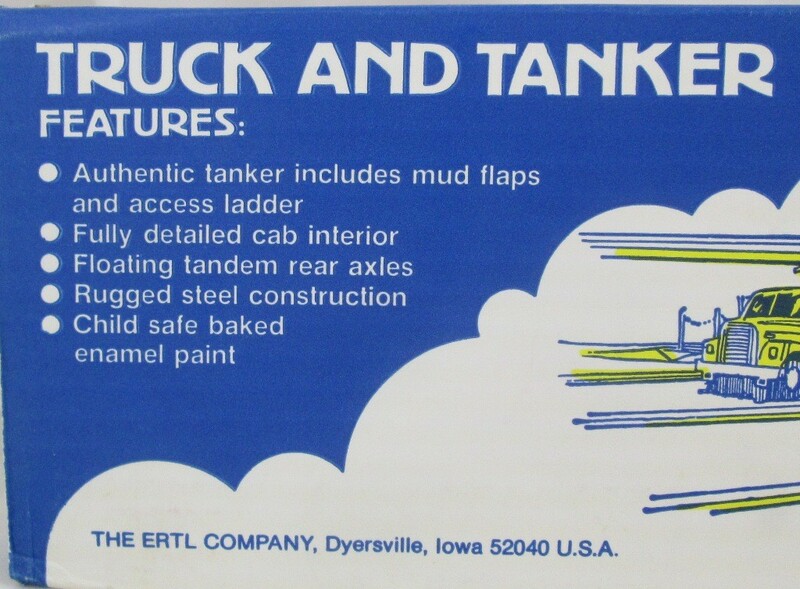 This is an International truck. 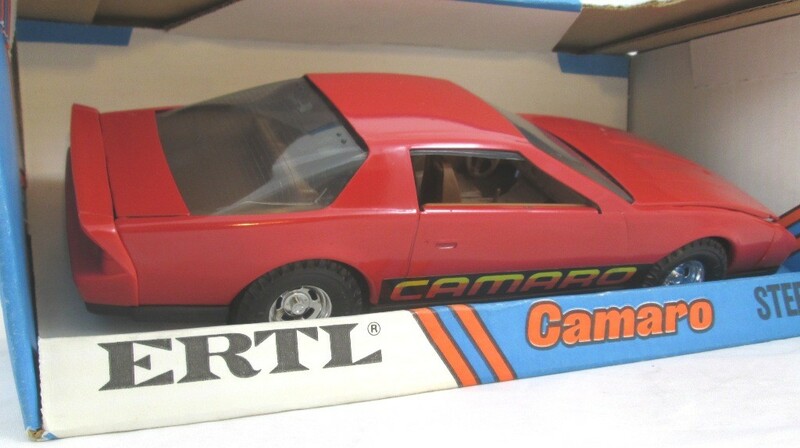 Measures 19 1/2 inches long, referred to as 1/25 scale. 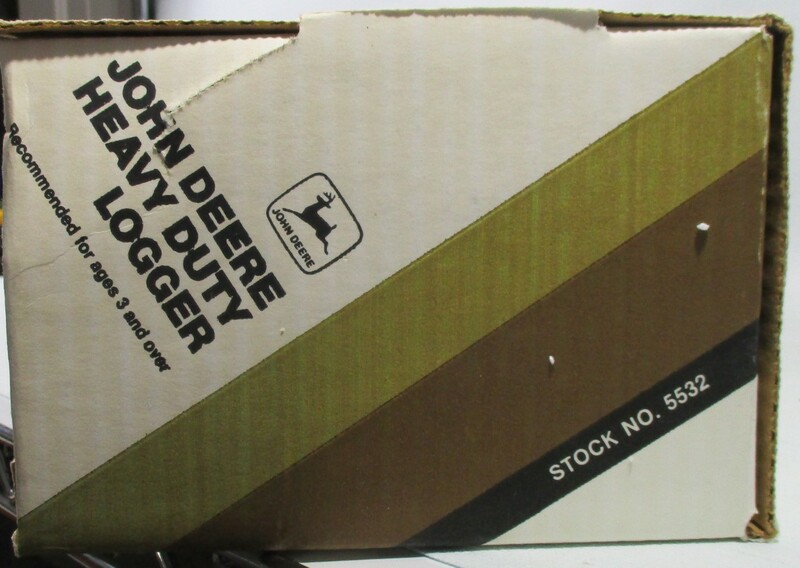 SpecCast Stk# 38541 John Deere Delivery Truck. 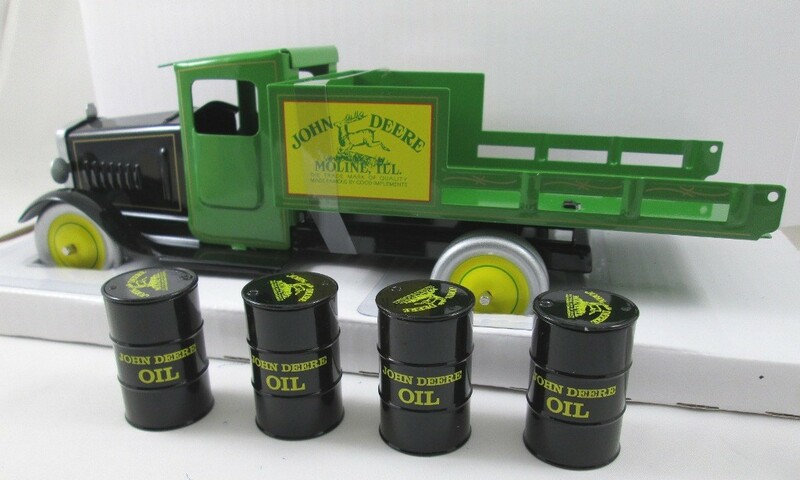 Truck is made of Pressed Steel with diecast oil drums. 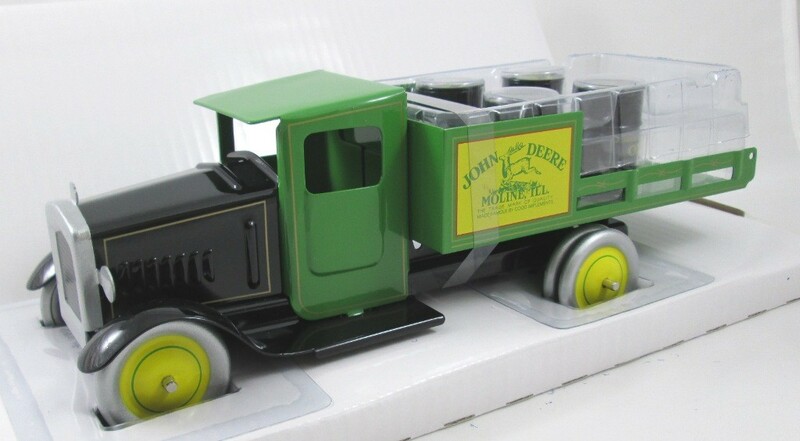 This is a replica of the old Metalcraft trucks made in the late 1920's. 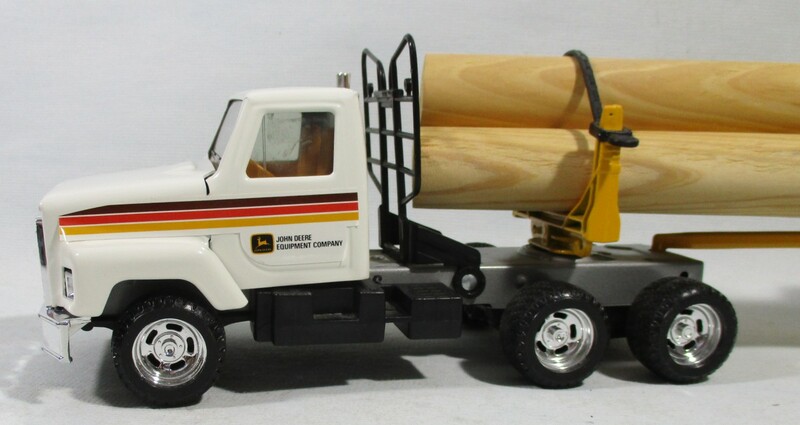 The truck measures 11- 1/2 inches long. 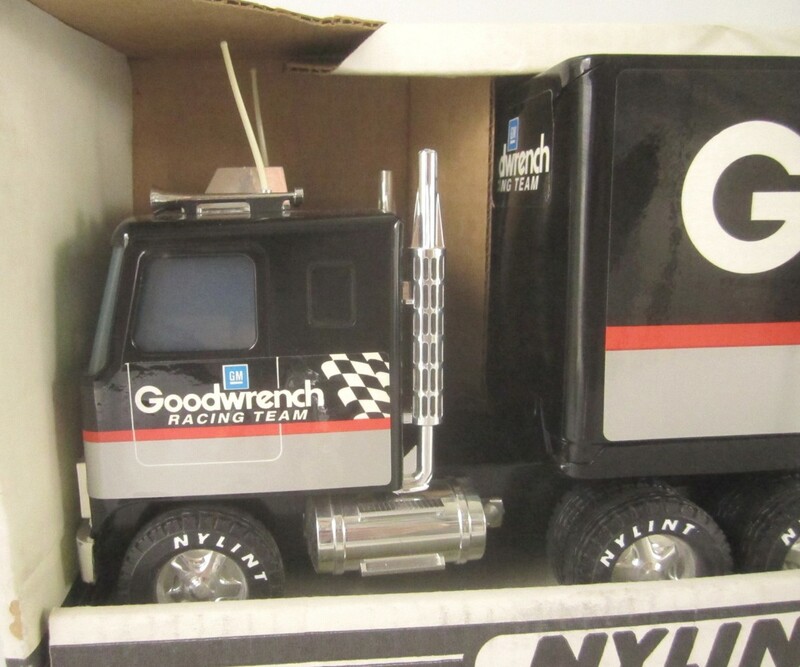 Nylint Stk# 911-Z Goodwrench Racing Team Semi Tractor Trailer. 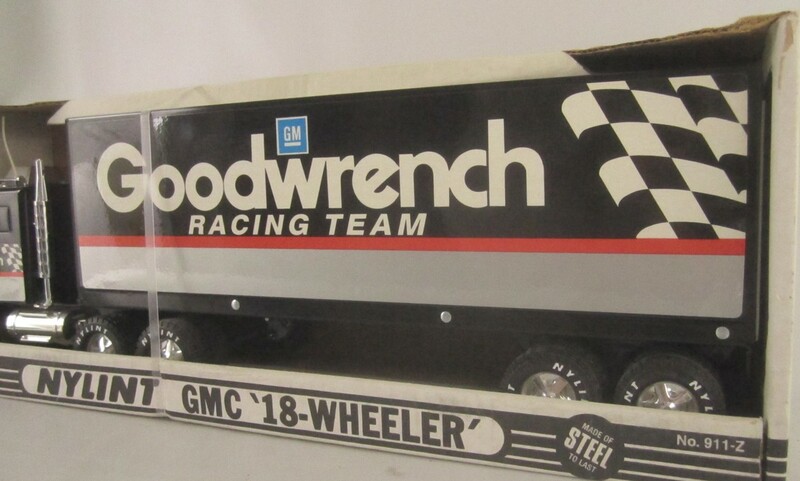 GM Cab Over truck. Pressed Steel measuring 21 inches long. Made in the USA in the 1990's. 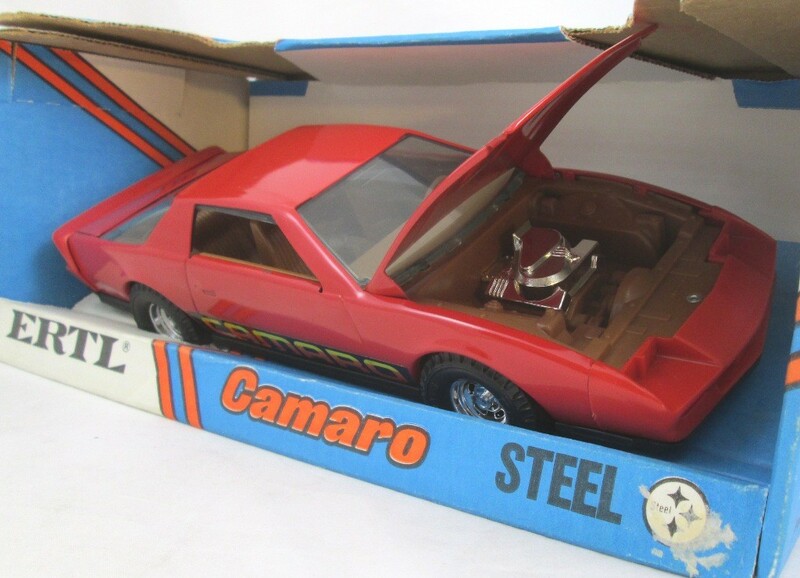 Ertl Stk# 3691 Camaro 1/16 scale pressed steel with opening hood. 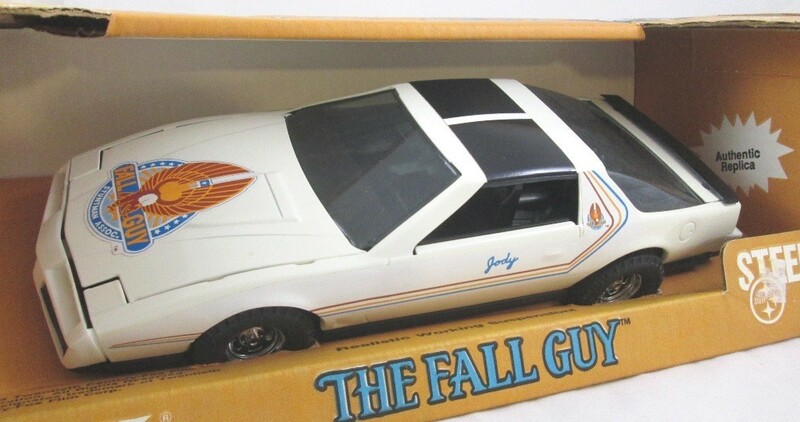 Ertl Stk# 3583 Pontiac Firebird The Fall Guy, Jody car 1/16 scale pressed steel with opening hood.